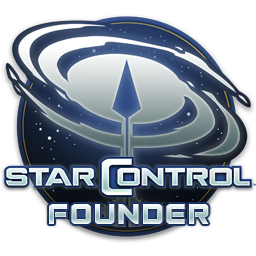 Welcome to the next release of StarControl Origins: Fleet Battles. We are especially excited by the introduction of teleporting Wormholes and energy-sucking Nebulas. Both of these "Arena Challenges" are designed to make the battlefield more dynamic and interesting. Listening to your feedback, we've taken a major pass on the graphics system to make the ships look more realistic and less cartoony. Metal looks more like metal, plastic looks like plastic, and whatever the Pinthi is made of... well that looks better as well. However, you find the ships are still full of personality and fun. We've also added some more ship parts for you to play with. Added wormholes. Entering one end of the hole quickly takes you to another side of the map! The Camera won't jump around so much when changing what ship is selected. Fixed a crash when trying to start a match. Fixed a crash if one you left the game while the other person was choosing their next ship. Just a couple of observations and minor irritations from playing today. Probably not related to this new build specifically; I haven’t gotten to play much recently. - I can’t figure out how to lock in the next ship selection from my fleet using the keyboard between battles, so I have to move the mouse cursor to the center of the screen to do so. Then, when the battle begins immediately, the cursor remains in view, forcing my hands off the keyboard to move the cursor away. I’ve died in those few seconds. Seems like the keyboard should work and the cursor should hide during battle once the keypresses begin. - Planetary gravity is REALLY strong, coming from an old fan trying to adapt. I couldn’t manage to pull off a slingshot maneuver at all (which might be intentional, I guess). - Since we’re not doing screen wrap, the current arena is passable. I can live with it. - There’s still a lack of “weight” to the weapon impacts that throws me off. Black holes are a primary example. I expect my opponent to slam into them violently and, instead, they glide through with no physics or audio feedback (just a few crew dots evaporating silently). - There’s a whirr at the end of the Trandals victory theme that sounds EXACTLY like my phone buzzing on the table across the room. I removed my headset and walked over to it about five times before I figured it out. - At one point, the camera zoomed out to follow Jeff completely out of the arena while we were skirmishing closer to the center. It left the two remaining ships invisibly small until he deactivated. Graphics are a lot better. The particle effects and texture materials or whatcha call ems are very niice. I love the new anomalies, adds that little bit extra too the arena. The wormholes are coming next week. They are wicked fun. Can't wait! Do they have cooldowns between usage? One way? Or do we just have to wait until next week? FixedMowling Ship no longer looks so shady. Wormholes spawn too close together. Wormholes are currently randomly placed. We'll be looking add some minimum spacing. Many projectiles do interact with them, including the nuke. We'd love to get more feedback. The enemy AI should use wormholes too (I am sure when you have time you will get around to that). I like the little dot representing you travelling from one wormhole to another. TBH, I couldn't tell that the wormhole positions were generated randomly for me. Each game, it seems like they are generated in the exact same position. I have played a good amount of games since this update, but it hasn't changed. I really don't care for the Fleet Battles all that much right now. The design decision to make the map bounded is too constraining. I realize that this is probably set in stone at this point, but I just cannot get around this issue. Flying to the edge with the asteroid field nullifies the possibility of having a fast ship with a slow turning radius. The map seems too small to take advantage of any speed because you run to the edge so quickly. Everything is too confined making a fast ship not very advantageous. You need a highly maneuverable ship to be able to navigate such a confined space effectively. I think this will be too constraining to ship design in the end. Imagine if there was a Druuge-like ship - it would travel to the edge of the map very quickly and then stop, thus nullifying any advantage it had of the speed gain. There is no place in Fleet Battles right now for ships like this. I think there should at least be an option to make the map wrap around on itself. Think of it this way: the wrapping is analogous to a plane on a sphere - in this case a three-dimensional surface wrapped onto a four-dimensional surface. This one change would make Fleet Battles much more interesting and fun in my opinion - I have more fun playing an old version of Time Warp or UQM than Fleet Battles at the moment. I would like to say that I do like the addition of the wormholes. They are a really neat concept. I do find the graphics to be very well done and it looks really pretty. I also can't quite put my finger on it, but I think the learning curve for getting good at the ships is quite a bit steeper than previous Star Control-like games. I used to be a master at all the ships in Star Control I & II and even III as well as I could take virtually any ship in Time Warp and get good with it after a few tries, but I am having a very difficult time mastering the ships here. It might be due to the confined arena or perhaps I haven't figured out how to use the ship's abilities properly, but all I can say is that I think playing the ships is frustrating right now. I would really like to see some improvement here. If you need me to be more specific, then let me know and I'll try to expound more. I believe that screen wrapping is still a thing when you fight in open space, but when you fight in a system it's constrained. I may be wrong on that, however. I have only played on constrained maps too. I think that all these ships (especially the Y-Form) would also have problems in a constrained arena, especially if they gravity whipped. It would be hard to go maximum speed before having to turn around and their turning radius might also be greater than the arena radius. I currently find that you spend so much time maneuvering in the confined space for certain ships that it makes it a chore to play fleet battles. It also seriously limits the strategy of playing ships in combat and also designing ships in the Workship. A ship's acceleration also comes into play here and gravity whipping is also seriously hampered if you can't turn very quickly. Perhaps it is a paradigm shift in how Fleet Battles is played, but so far I find this paradigm to be too limiting. I also know what is wrong with a lot of the ships in Fleet Battles now: the weapon systems are not intuitive. As I mentioned above, I could pick up new ships more easily in Time Warp than Fleet Battles and it is because the weapon systems / special abilities don't seem very intuitive to me. The learning curve for playing the ships is greater because they don't seem to mesh well with the state of how Fleet Battles has been implemented. I think a lot more thought needs to go into the weapon systems / special abilities to make them more intuitive so that new players aren't turned off by the steep learning curve of certain ships. The issue (I believe) was that in initial playtesting, testers found the wrapping space confusing and it didn't really make sense to them. I don't know if they just had poor testers, but it seems more likely that the gaming paradigm has changed in 25 years and something that worked well back then doesn't necessarily gel for today's gamers. Us old timers will miss the wrapping space, but we're in the minority - it's seems to be a fact that the vast majority of the target audience never played the originals, find wrapping space weird, and prefer the constrained arena. I miss it too, but I think that ship has sailed. Some of this will come with further refinements, it's still in beta. I agree that some of the weapons still seem a bit "off". For example, I have STILL never found any use whatsoever for the gravity wave secondary attack. It doesn't really seem to be anything at all, and I've played a shitton of Fleet Battles with that ship. Also, boarding mercenaries aren't nearly good enough at actually, you know, boarding enemy ships. You're probably right, but it doesn't hurt to voice our opinions since it is still in beta. When you think about it, there were quite a few games before Star Control that implemented this basic space combat system with a central gravity well and ships wrapping from one screen edge to the other and even Asteroids did it. I guess that's old school, though. Well thanks for the reply! I'm with you on the gravity wave attack - I haven't figured out how to use it either, although I did see the computer use it to repel me, I think. I find myself at quite a loss with respect to what the primary / secondary weapons do and more importantly, how much damage they do. It is hard to formulate a strategy when you don't know what is more dangerous. The Measured Response: Primary: Red Tape / Secondary: Demotivator. While these names are interesting, they don't provide any clue as to their use. Phamysht Consumer: Primary: Charbroiled / Secondary: Invitation. What do these do? If you know of a guide somewhere that mentions what each ship does and the damage / utility of primary / secondary weapons, please let me know. Matt - check through the founder vault entries, one of the older ones has some content on the attacks. Gravity Wave - use it to push back projectiles, boarding parties, or Tywom drones. Or my favourite - push your opponent in to the asteroid belt and watch them struggle to escape. The Measured - I don't play this one very often, not on my favourites list. Primary slows rotation of the opponent, secondary is an AoE attack which is useful against missiles and boarding parties. Phamysht - the background is that these guys want to eat you. Primary cooks you a little, secondary lures your crew off for a 'little snack' (similar to Syreen). Agree with the boarding parties, I don't like them yet. It might just be that they are too slow. Really want an equivalent to the Ur-Quan fighter. Now that you mention it, I think I do vaguely remember something in the vault talking about the attacks so I'll go take a look. And thanks for the info on the above!